Available in sizes m up to xl. Sizes m-xl have a width of 1 inch | 2,5 cm and match well with our 1 inch | 2,5 cm width standard- and city-leashes. 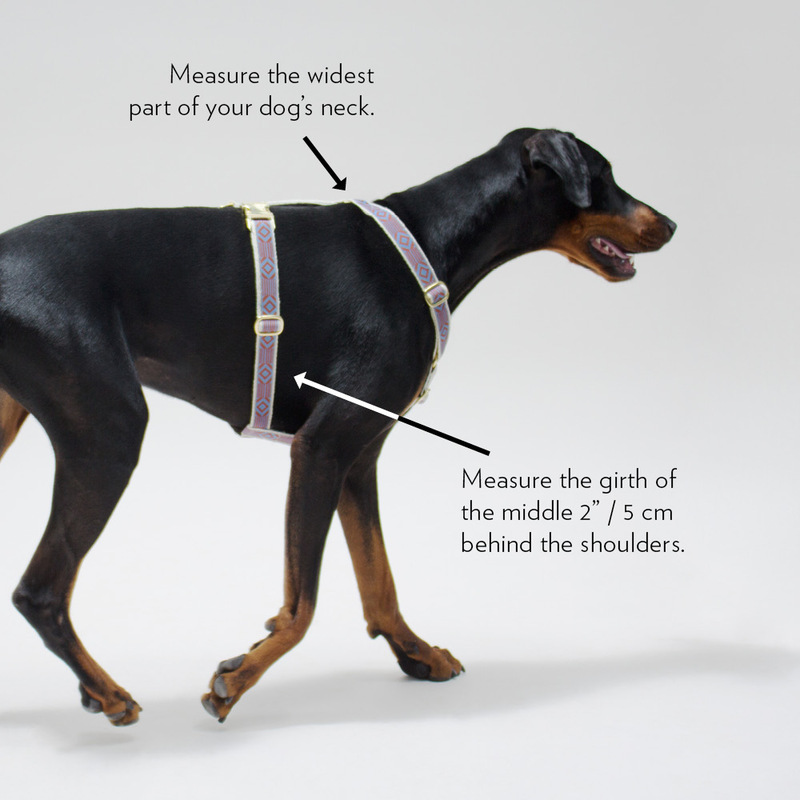 Go to our size chart below, it will explain to you how to measure your dog correctly.